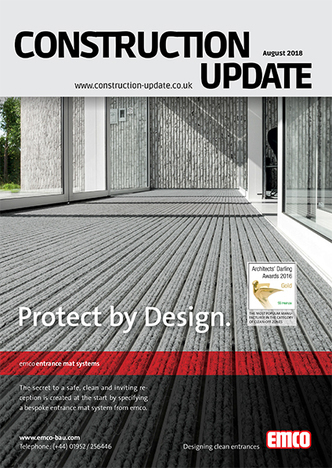 Please see Construction Update’s August 2018 issue, Showcasing the most exciting Products, Services and Innovations in the Building and Design Industry. 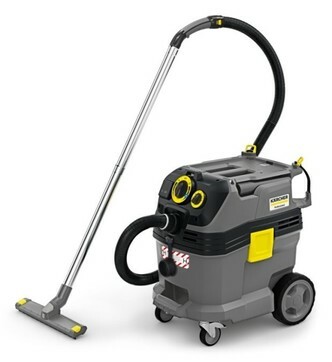 Karcher - Safety, it’s a matter of Tact. 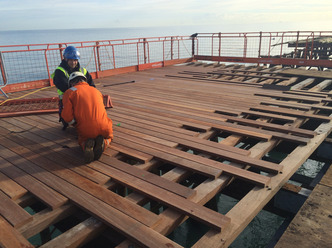 EcoChoice is a specialist importer of exterior timbers for cladding, decking, landscaping, civil and marine projects. A prime example of their expert service is Hastings Pier which was the Winner of RIBA’s 2017 Stirling Prize. Hastings Pier has won the biggest award in British Architecture – the RIBA Stirling Prize for the best building in the UK. 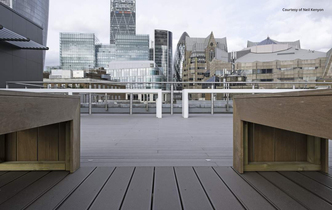 Design and Build company Peldon Rose specified ecodek® for the Office Space in Town (Monument) project. 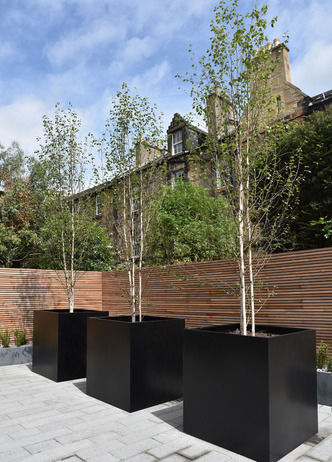 The installation was done by Belderbos Landscapes. 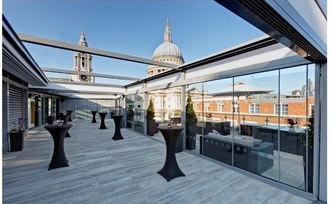 The stunning new rooftop cafe overlooks the Thames and has spectcular views of London land-marks. 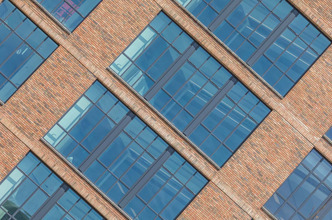 When designing both residential and commercial buildings, the provision of natural light, both for energy efficiency and wellbeing plays a crucial part in the process. 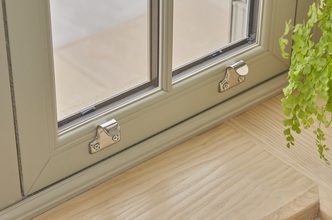 Whilst windows need to remain functional, allowing them to be opened, to safely carry glazed units and ensure thermal efficiency, the profiles need to be a slim as possible to allow as much natural light into the building space as possible. Retractable roofs allow you to get the most out of your outdoor by transforming your terrace or garden into a relaxing space that can be used all year round. 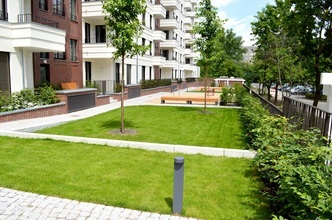 Envirostick - Envirostik are the UK market leader of adhesives for synthetic grass, particularly sports surfaces and artificial turf landscaping applications. The increase in the number of green roof specifications over the last few years has led to more people, be they architects, builders or roofing contractors being exposed to a new and unfamiliar technology which is roof greening. 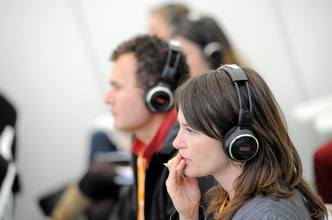 Nick Day, Managing Director at Optigreen Ltd answers some of their customer’s most frequent questions. 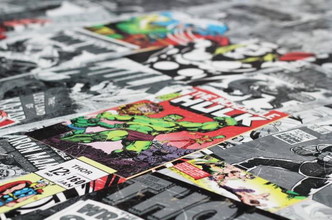 Classic marvel comic book covers and characters adorn high-tech panels to turn flooring into a focal point. Believing flooring was lacking some punch, exklusiv floors are excited to introduce the ultimate in superhero super-merchandise: authentic classic marvel prints on high-gloss flooring. 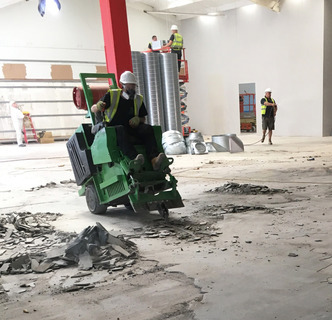 The Preparation Group’s contracting division PPC, has prepared, removed and finished millions of square metres of surfaces, carrying out projects where the finished system has failed or for refurbishments across floors, roads, steel platforms and car parks. 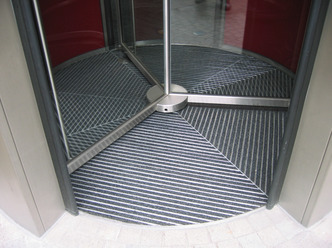 The Preparation Group was recently appointed to uplift the floor of an old gym as part of a total refurbishment project. New ‘best practice’ guidelines have been published that, for the first time, specifically address disabled student accommodation . 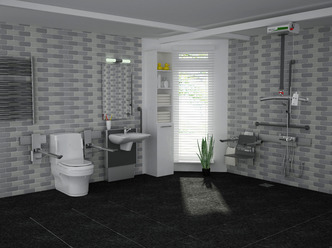 Simultaneously, Britain’s leading provider of disabled toileting solutions, Closomat, is announcing new developments that enable providers to comply, stylishly, with a unique package from specification, through fitting to future service & maintenance. With a tagline of ‘Hot water, made simple’, the AquaEko is a revolutionary new intelligent system for heating and hot water that lives up to this maxim. According to Systemlink Technologies, it is the quickest, most efficient and least expensive way to heat a home or hot water, all controlled from anywhere with the AquaEko App. 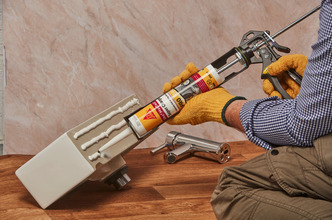 In today’s busy and competitive plumbing and building environment, tradespeople are searching for new ways to offer better and more efficient working. 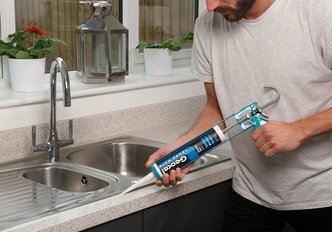 Choosing the right products provides ample opportunities for boosting productivity, helping plumbers offer an extended range of services to their clients while maintaining extremely high standards.